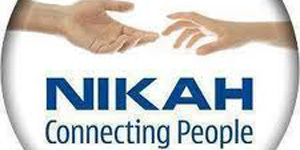 We provide Nikah facility to our clients, even if they are at their home. Shadi / Nikah On Phone/Online is just like Court / Ordinary Marriage. It is valid under Shariat and Legal in all respects if it is done through Law vision (Pvt.) Ltd.
Procedure of Court Marriage Nikah is Very Simple and of Days not of Weeks or Months. Our Nikah Registrars are Dully appointed by the Govt. having Sanctioned Nikah Registers and Official Seal. Nikah will be registered according to the Islamic Laws. We would like to clarify just for information of our clients that when Nikah is registered during Court Marriage even when it is done on phone or on Internet, the Nikah Nama which will be Provided by Us will be just like Nikah Nama of arranged marriage. Legal and Shari in all respects. •Cell Numbers of both the parties. After receiving Documents we will settle Date and Time of Nikah with your Consultation, at Fixed time Our Nikah Registerar, Nikah Khawan, Our Staff Member, Bride and Groom will appear or be online on Conference Call, in which Nikah will be Held. After Nikah, Nikah Registrar will Complete all 4 Nikah Namas, all the Parties i.e. Bride, Groom and / or their Wakils, Wittnesses, Nikah Registerar and Nikah Khawan will Sign the Nikah Namas and the same will be Complete, Valid and Shari Nikah Nama of the Parties. In case any Party of Nikah is not present at the time of Nikah, we will send all the 4 Nikah Namas for Signatures of Bride or Groom by Courier. We are the Poineers and Sole Court Marriage Nikah Law Firm in Pakistan, providing Court Marriage/Nikah on line/Nikah on phone services. since 1991, online services started in 2001. Hundred of Couples through out the World, mostly from Pakistan, UAE, USA, Canada, UK, Saudia Arabia, Indonasia, Malasia, Germany, India, Kuwait, and in many more countries enjoying their Happy Family lives after availing our Court Marriage Nikah. Our Nikah online Court Marriage legal services are safe and secure, we are a pvt. ltd Lawyer Company inlisted and registered as such with the govt.